Dr. Francis Powers Jr., now retired, practiced for 4 decades as a Radiation Oncologist, board certified in Therapeutic Radiology. While working with cancer patients, Dr. Powers also maintained an Alternative Medicine practice, treating rheumatic and other chronic illness patients with Antibiotic Protocols (AP), in addition to nutritive and supplemental therapies. In this article, he shares a snapshot of his treatment approach, including a memorable patient remission story, and what drove his desire to help his patients return to full health. I originally came upon Thomas McPherson Brown’s work many years ago. I practiced Radiation Oncology for 40 years, but also had an Alternative Medicine clinic where I practiced one day a week, treating all kinds of illnesses including heart disease (very easy to treat), chronic fatigue, Lyme disease, cancer, and collagen vascular diseases (very hard to treat). I started using antibiotics, primarily tetracycline and doxycycline with some minocycline, for collagen vascular diseases in the 1990’s. I also used this treatment for osteoarthritis (it works). Rheumatoid arthritis patients would go into remission along with ankylosing spondylitis patients. I also treated several patients with scleroderma who recovered. They usually required IV Clindamycin (800 mg once a week) in addition to oral doxycycline in varying doses. To speed up the process, I used high dose oral and IV Vitamin C (50,000mg per session). Patience is necessary with antibiotic protocols, as it is a very slow therapy. Working in both Traditional and Alternative medicine enabled me to learn a good deal regarding how to manage rheumatic patients. For instance, many sufferers of rheumatic disease have thyroid-adrenal syndrome, which is genetic. As a result, these patients have deficient immune systems and are prone to chronic viral or bacterial infections. Correcting endocrine problems can greatly improve antibiotic therapy outcomes, as well as speed treatment-response. Also correcting nutritional factors is an immense help, and can frequently be the difference between winning and losing. One of my most interesting cases was a middle-aged lab tech (a smoker) who had ankylosing spondylitis with severe back pain. His pain was unbearable and he became short of breath, prompting a work-up. He had a 9cm Pancoast tumor of the lung that had directly invaded the upper thoracic spine and also involved 3-4 vertebrae by direct extension. Since he was someone I knew from the hospital, I told him that I could treat his ankylosing spondylitis at the same time that we treated his lung cancer. He was started on 10,000 mg of oral Vitamin C and daily tetracycline. He was also treated with low dose chemotherapy and high dose radiation therapy to the vertebrae and the upper lung tumor. He got better very quickly and had good pain control. I continued his antibiotic and high dose oral Vitamin C for several years. Of great interest, he went into complete remission from stage 4 lung cancer and his rheumatic disease at the same time. We eventually lowered his antibiotic to 3 times per week and I followed him for about 10-12 years until he passed away from cardiac complications, the result of prior chemotherapy. His stage 4 lung cancer, however, never returned. In my opinion, following decades of clinical experience, the practice of medicine requires detailed examination of crucial co-factors in order to maintain the health of rheumatic patients, as well as the use of antibiotics for rheumatic disease. I have been blessed to have the resources to pursue my Alternative Medicine practice simultaneously with Traditional Medicine, combining both medical approaches. For example, cancer patients’ lives could, at times, be extended 3-5 years after failing conventional treatment by using extreme doses of IV Vitamin C (100,000 mg or more over 3-4 hours) and high dose pancreatic enzymes along with glycolysis inhibiting low sugar ketogenic diets. Diagnosing and successfully treating the untreatable was what fueled my passion to find answers that would improve my patients’ quality of life and help them make a return to health. Thank you to Road Back Foundation for your efforts to get the word out. I am currently retired, but I am working on a website to launch next year, the goal of which is to help people achieve the best health possible in the most cost-effective way. The medical system is badly in need of competition for methods of treatment, which would also help to reduce treatment costs. Sometimes simple things can solve big problems. 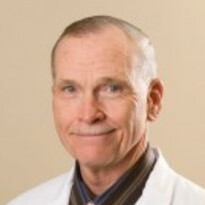 Francis M. Powers Jr., M.D. University of Rochester Medical School (class of 1971).